With autumn officially here, it's time for a summer review. 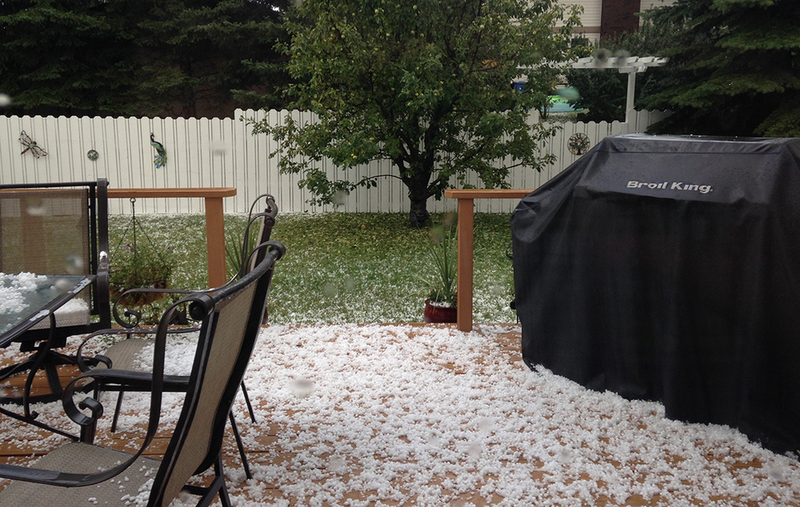 We had an exceptional summer this year - long, sunny days interspersed with a few hail storms and a tornado scare or two. Not typical, but it was enjoyable (except for that tornado and hail part). We went to the Calgary Exhibition and Stampede and managed to find a few quilts to photograph. Funny how I see to find fabric-y things everywhere I go. An overview of the quilt entries. 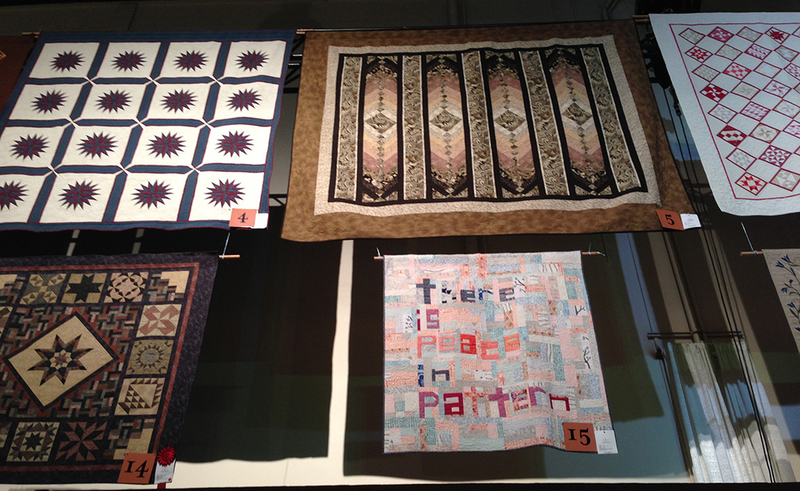 Some of the quilts in the competition. We dodged hailstones. Well, actually my hubby and daughter did as this storm came through while I was in Ontario on vacation. Just a bit of hail on the back deck. My son and I visited family in Ontario - our first mom and son trip together and we both survived! And managed to visit a few quilt stores and find quilts for sale in St. Jacob's. Just a few quilts to choose from. Had some water fun, which is hard to do in Calgary, where there aren't any large lakes. So idyllic at the cottage. The perfect ending to a wonderful day. Came back home to harvest potatoes. A good crop this year for a small garden patch. Celebrated my ? birthday with my family once I arrived home and then celebrated my daughter's birthday a few days later. Packed up said daughter and settled her back at university in Edmonton. Started back to work at school for me and then a return to school for my son. My birthday present this year, a Labradorite pendant bought on vacation. Now it's as if the summer was so long ago. I'm back in the studio working on more projects and trying more creative fibre projects. And of course, keeping my eye out for any vintage sewing machines that may happen to cross my path (or appear on my computer screen). 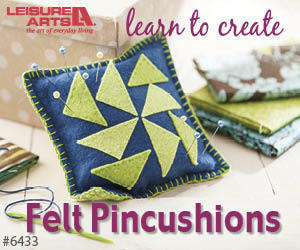 Hope you had a great summer and are easing into fall with lots of fabric-y projects.